Can't catch me! 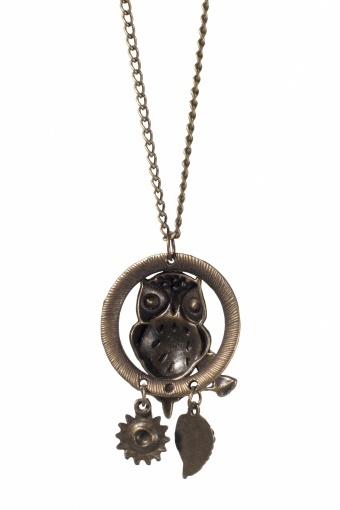 bronze Owl necklace by From Paris with Love! Oohoo, I belong to you! 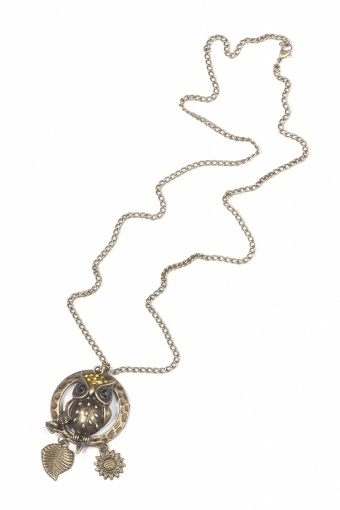 Supersweet 60s inspired long necklace. 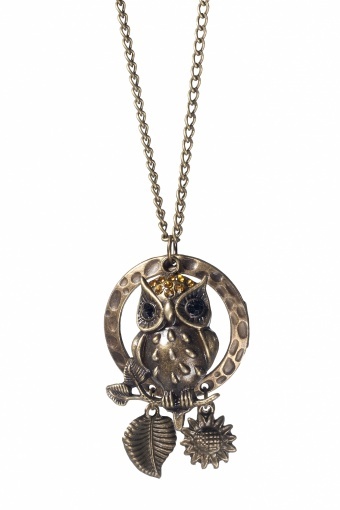 This cute little owl's head is covered with sparkling oranje strass stones. In it's eyes two faceted raven black beads. The owl and the circular moon behind him are two seperate parts. At the bottom of the moon two bangles, a leaf and a sunflower. Material: bronze coloured metal (nickelfree) with lobster closure.